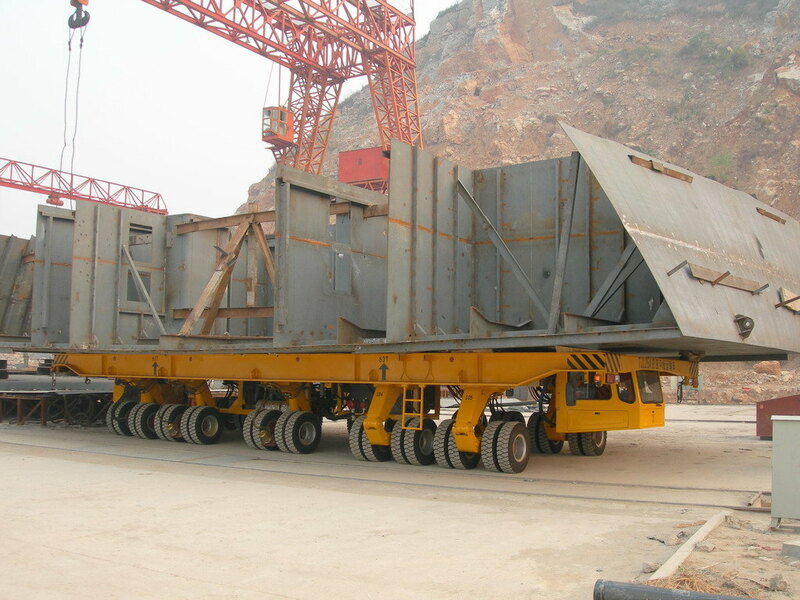 Shipyard transporter/trailer is a self propelled hydraulic carrier which is widely used in shipbuilding units erection and ship repair in dockyard, provides exceptional maneuverability in tight spaces by utilizing advanced steering technology, carries out very sensitive and precise driving maneuvers by the huge platform in order to accurately position hull blocks in intended assembly areas. Radio remote control is an option. Independent hydraulic suspension(pendulum), moving sideways like a crab, increase transporter’s maneuverability. Moving sideways like a crab. Angular and speed sensor ensure precise moving and elevating. Electronic and hydraulic multi-directional steering. Hydraulic suspensions realize three or four support points and move up and down smoothly. Transportation, elevating and assembly of hull blocks in dockyard. 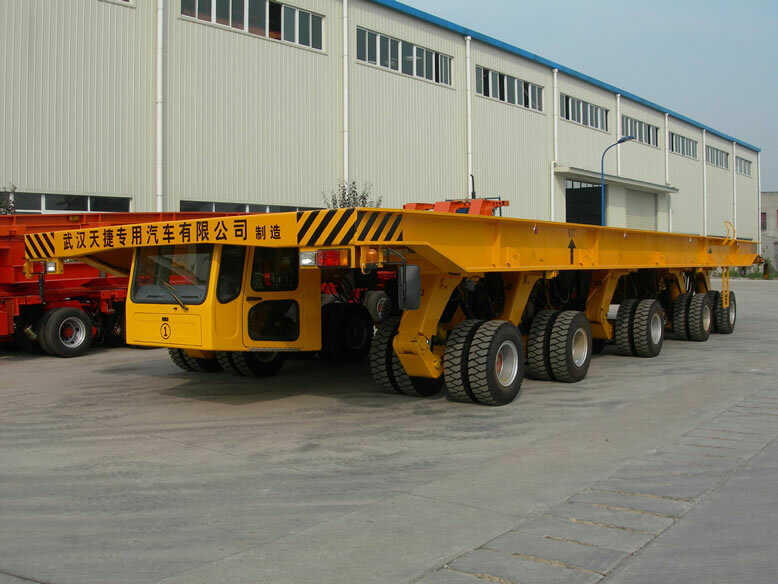 Mainly used inside of shipyard for transport of oversize ship section, ship diesel engine and other abnormal ship components. If a complete vessel over 600 metric tons need to be moved, you probably will need help of SPMT.